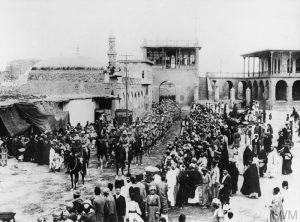 On the centenary of the Mudros Armistice, which marked the end of the First World War in the Middle East against the Ottoman Empire, the Heritage Lottery Funded Away From the Western Front project will be holding a conference to reflect on the often-overlooked campaigns which took place all over the world between 1914 and 1918. Away from the Western Front has combined research into aspects of the global war with arts activities in which people from all over Britain have considered what the war means to us today. This conference will serve both as a commemoration of the centenary of the Mudros Armistice and an opportunity to take a fresh look at the war away from the Western Front. The conference will take place on Tuesday 30th October 2018 at the Armada House Conference Centre, Telephone Avenue, Bristol BS1 4BQ. This is in the city centre, 15 minutes’ walk from Temple Meads station. The event will run from 10.00 to 16.00, with refreshments and lunch provided. A flyer for the event is available here. Alan Wakefield will speak about the Salonika Campaign, followed by three presentations reflecting on personal stories – a Dartmoor stonemason, the artist Stanley Spencer and the composer Gustav Holst. Stuart Hadaway will introduce the Palestine Campaign, followed by presentations about how a railway clerk won a VC, and how a churchgoer felt about visiting the Holy Land for the first time. Nicholas Saunders will speak about the Arab Revolt, with particular reference to recent excavations of some of the places visited by T. E. Lawrence. Soldiers from Lancashire and India fought in Mesopotamia, and some of their experiences will be presented. Anne Samson will give an account of the huge African theatre of war. There will also be presentations from our Creative Writing Competition, along with music created especially for the project. In addition to the formal programme there will be exhibitions about the regional projects. There is no charge for attendance, but you must register. Click here to book your place. You will be taken to our Eventbrite page. If you have any further questions please contact the National Coordinator (info@awayfromthewesternfront.org). On 21st and 22nd October, the Centre was very pleased to support a pair of events in partnership with Leeds City Museum. 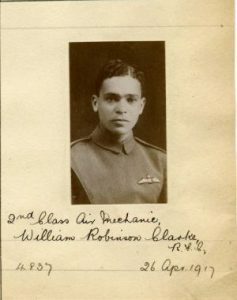 The events, which were held as part of Black History Month, were designed to examine histories and perspectives that are often overlooked. 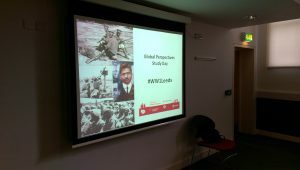 On the Friday, a study day, entitled ‘Global Perspectives on World War One, was held at the museum. 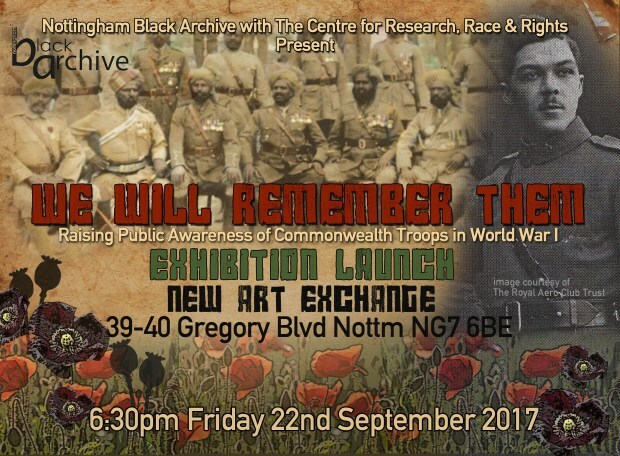 Papers were presented from a variety of speakers on a wide range of topics including how Black Soldiers and the wider African and Caribbean communities helped Britain during two World Wars, the life of Leeds Pal, Private Jogendra Sen, Chinese Perspectives on the Great War and female nurses’ relationships with non-white soldiers. Staff from the National Archives, provided insights into the material that they hold on West Africa and South Asia and discussed the challenges of researching this area of the war and the value of examining the war through the themes loyalty and dissent. On the Saturday, the museum opened its magnificent Broderick Hall for a community day called ‘Peoples’ Pathways: Soldiers from Overseas in World War One’. This event was largely performance-based, with music, spoken word and interactive talks. Community historian Jahan Mahmood brought items from his travelling military museum and gave an illuminating talk on Muslim perspectives on the war. 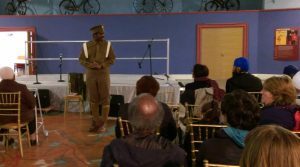 Russell Smith performed a monologue in character as Walter Tull, footballer and British Army officer and the event was rounded off with a beautiful performance of the World War One inspired Sacred Songs by Alchemy and SAA UK. The topics were intentionally varied but nevertheless a few connecting themes emerged. One was the sheer range of stories that can be told about the war; so many that it’s possible to see the First World War not as one conflict, but many. It is important to reflect on these multiple ways of seeing history, not least because it confirms the value in having so many people take the time to explore the aspect of the war that most interests them. Another theme to emerge was the depth of history required to even begin exploring the war. Most of the sessions examined histories with connections to the histories of empire and colonialism. Any thorough reflection of the global First World War must necessarily begin with the history of the European empires and the patterns of movement and control that developed way before 1914. So too is the history of Black and Asian people in Britain. This is also a long-term history and one that supports the view that the First World War is but a moment in a far longer set of stories about how people, willingly or otherwise, come together and find themselves sharing a common, albeit distinctive, histories.